Whether you are travelling, on the beach with a loved one,hiking in the mountains, rock climbing, on a cruise, or just around the house with the family, now you can be in the picture too. Portable Handheld Self-Timer Mono-pod for Camera & Phone. 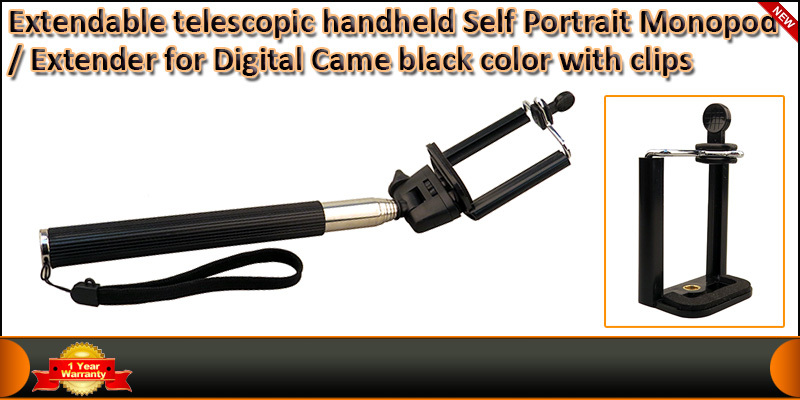 Works with all compact pint and shoot digital cameras that has self-timer and tripod socket. Just set the timer, extend the rod, and you are ready to shoot. Cameras Interface: Universal 1/7 inches screw. Suitable for: Travelling, Video diaries, Video blogging, Hiking/camping, Weddings, Parties, The beach, Concerts, Aerial Photos, Sports events.